Annkio Briggs, environmental and human rights activist, has insisted that President Muhammadu Buhari’s appointments are lopsided. Speaking with Vanguard, Briggs said the Presidency lied to Nigerians by saying the current Federal Government is unbiased in its appointments. 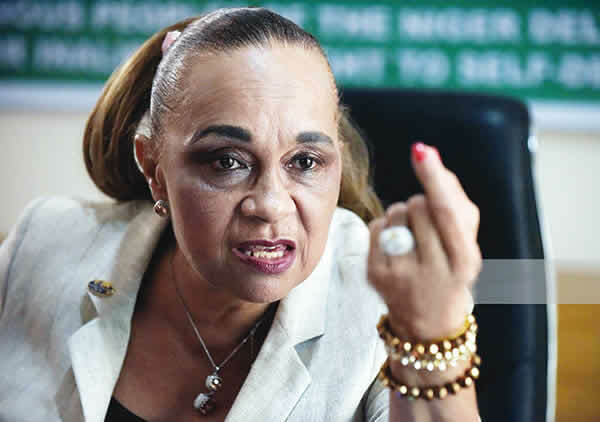 According to Annkio-Briggs, “As far back as 2015 from the portfolios of the ministerial appointments, to the National Security Adviser, NSA, Air Force, Police, Defence, Economic and Financial Crimes Commission, EFCC, Department of State Services, DSS, Federal Road Safety Commission, FRSC, National Immigration Service, NIS, and many other appointments, complaints have come from the Niger-Delta, South-West, South-East and Middle-Belt that President Buhari gave the critical positions to his region, relatives, friends and people of his religion.